What distinguishes Umberto Pitagora from other fine men’s and women’s outfitters is that every suit is made from scratch. Customers visiting the shop will see only bolts of cloth decorating the store, nothing ‘off the rack’. Nothing is pre-made; everything is designed, cut and stitched by Umberto. “Almost nobody is a perfect size–maybe only five or ten percent can fit in a suit off the rack,” says the Maestro, Umberto. “Some people have very big shoulders and a small waist, other people have small shoulders and a big waist!” Whatever your geometry, you will look great in a Bespoke, Umberto Pitagora piece. Approximately sixty percent of our customers have one shoulder lower than the other, making one side of the suit a half-inch to an inch and a half lower than the other. 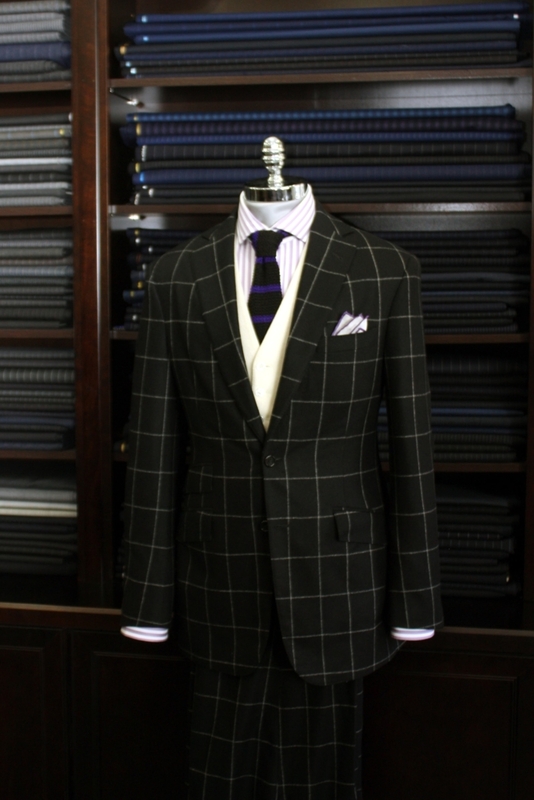 With a ready-made suit, there is not much that can be done. But when Umberto cuts it himself, he can correct the problem the natural way without padding the lower shoulder. With Umberto Pitagora, you have the ability to modify and customize every suit accessory from lapel and linings to working sleeve buttons. Umberto can produce any garment–regardless of whether it is for women or men. Whether from pictures, family heirlooms that have been handed down through generations, or from a self-designed style, we can find inspiration from your direction and create a masterpiece for you.